In my previous post about Lin's Australia, I talked about their Neo Rosehip Oil Cleanser and this time round, I have another 2 awesome goodies from Lin's under their Home Spa range! A huge fan of scented candles, I was simply elated to find a full sized 40-hours burning time soy wax candle in Peony Rose scent in the bag along with set of reed diffuser. This exceptionally clean burning premium perfumed candle envelopes your senses with the heavenly sweet floral scent of peony rose. Carefully crafted with a slow burning lead-free cotton wick, the white frosted glass container adds an elegant ambience to any décor. For those burning scented candles in a non-airconditioned room, I'm sure you will have the disappointing experience of smelling absolutely nothing while the candle burns right in front of you. But for Tilley, the scent payoff was just great! Even with a fan on rotation blowing at the candle, I can still smell the slightly powdery floral sweet scent of the candle as it burns and when placed at another spot in my room away from the blowing wind, it can easily fill my entire room with the deliciously feminine smell. 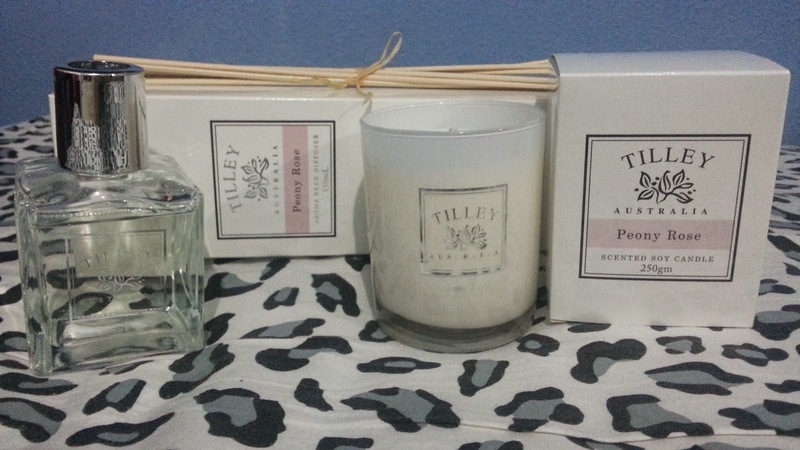 Tilley Soy Candle currently comes in a total of 12 scents and another scent that really caught my eye is Pink Lychee. Have to get my hands on that after I'm done clearing my current stock of candles and reed diffusers. And of course, the same scent is available in the form of reed diffusers. 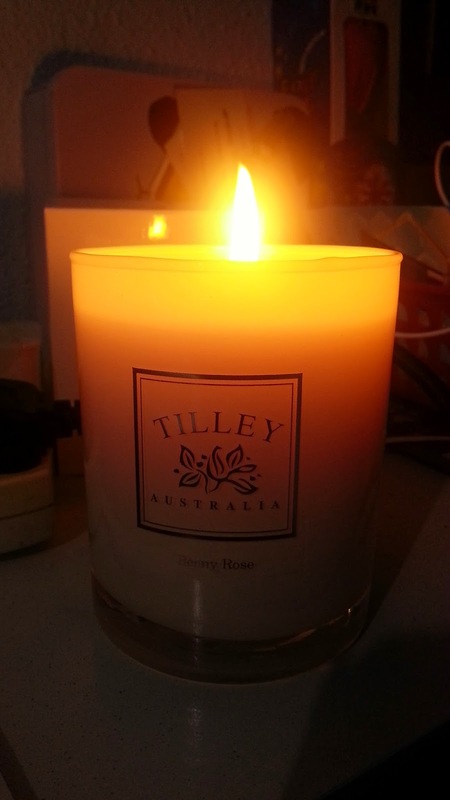 Peony Rose is a tempting rose aroma with an incredibly delicate allure that adds a soft feminine ambience to any room. Reed diffuser is an awesome alternative to scented candles when safety issues restrict the usage of burning candles (small area with many clutter etc). Plus, by reducing the number of sticks you leave in the bottle of essential oil, you can easily tweak the concentration you would like to have in your room to have a more subtle, less overpowering scent and also have your reed diffuser last longer. And a small tip: If you wishes to have a quick boost of scent, just flip your sticks and let the saturated ends be in direct contact with the air. always love rose-scented stuff! wonder how does this compare with bath & body works? I never use scented candles... But I guess it'll be a good experience trying to use one.. I love having scented candles in my room. I especially like lighting them up when I'm chilling before bed or studying! I'm never a fan of scented candles, but I know a lot of girls do enjoy that floral scent. i still looking for the candle with the scent i like but mostly just overly scented! I love scented candles. These looks very high end and expensive. I tried reed diffusers before and was not very pleased with the results so I'm back to burning candles, which I absolutely love. I'm a huge fan of Scented Candles and diffusers, This one is a must try I feel post your lovely review. I love scented candles but Yankee Candles have the only one I've tried so far that actually give off a scent. I've been wanting to try more brands, so I'll defo check this one out! 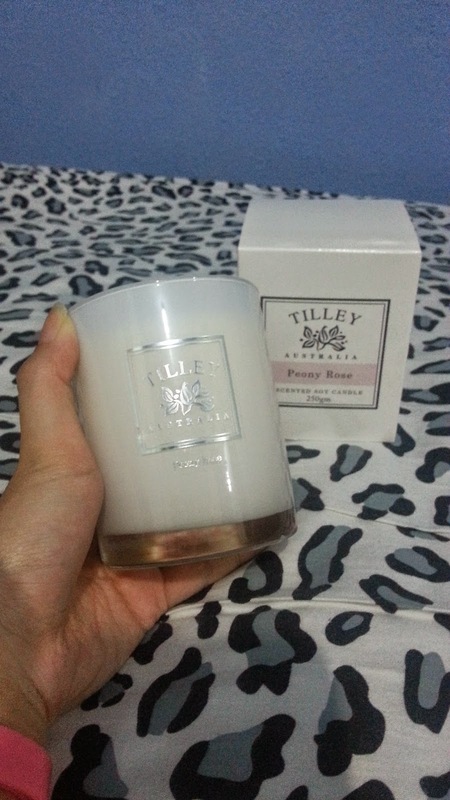 Never tried this particular brand but I'm always into rented candle and diffuser. These sound divine!!! I'm obsessed with candles and with diffusers! love the candles so much! I have 1 too! Love our post! By the way you described it, sounds like this candle smells really good! I love scents that are sweet floral/powdery, especially one that's light and not too overpowering.